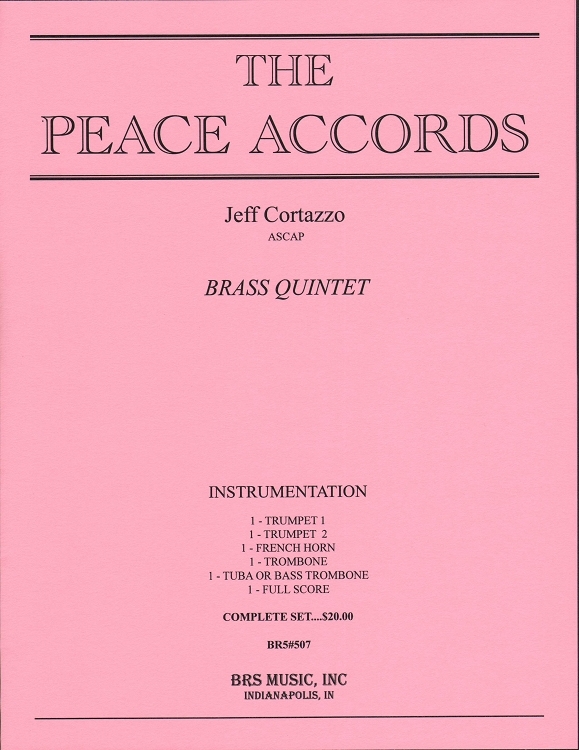 Written for with the Army Brass Quintet (Brass 5) in mind, which needed a modern yet accessible piece that could be easily memorized and shortened if necessary. The Peace Accords should sound serious yet hopeful, urgent yet positive, portraying the Sturm und Drang of peace negotiations. This piece is the perfect opener or closer for any quintet recital or concert. If a short flourish is desired, go directly to the coda.